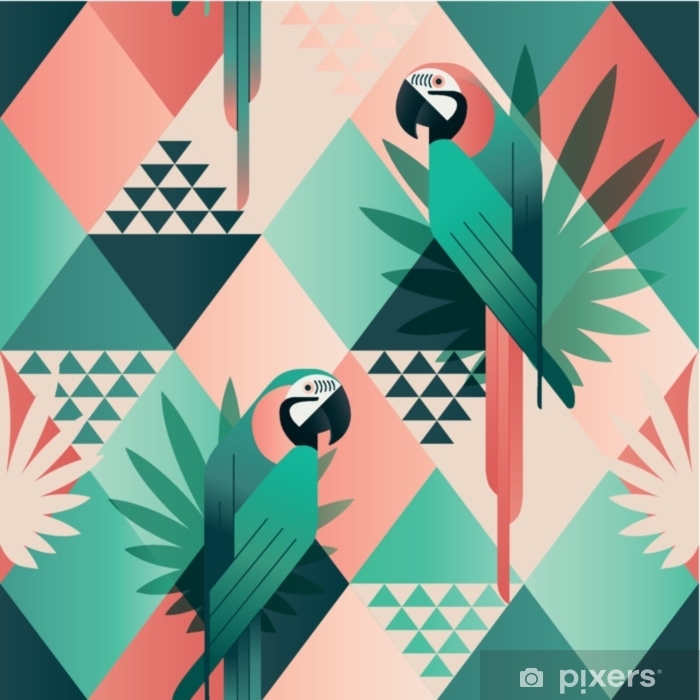 Exotic beach trendy seamless pattern, patchwork illustrated floral vector tropical leaves. Jungle red and green parrots. Wallpaper print background mosaic.